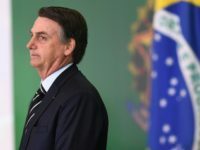 China’s state media reported Thursday that Ji Bingxuan, Chinese Communist Party leader Xi Jinping’s special envoy to Brazil for the inauguration of conservative President Jair Bolsonaro, delivered a personal letter from Xi to the new president and received “warm greetings” to send back to Beijing. 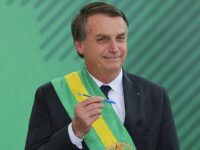 Brazil inaugurated Jair Bolsonaro, a far-right conservative who campaigned on a platform of smaller government and fighting socialism, as its president on Tuesday. 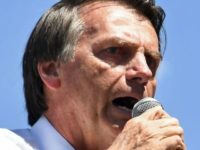 In his first speech in office, Bolsonaro urged Brazilians to “dream” while remaining vigilant of the threats of socialism. 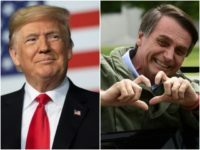 President Donald Trump has exchanged supportive messages with Brazil’s new populist president, Jair Bolsonaro, who was inaugurated on January 1. 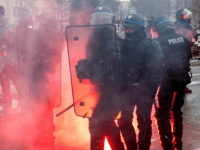 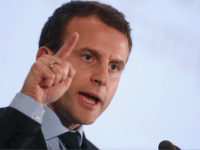 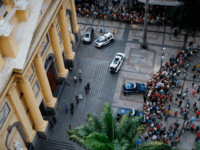 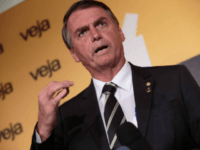 Brazil’s President-Elect Jair M. Bolsonaro noted on Saturday his plans to “decree” protections on citizens’ right to own guns. 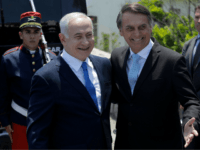 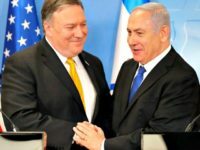 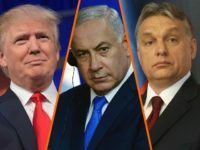 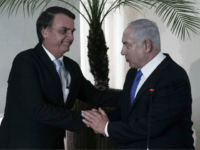 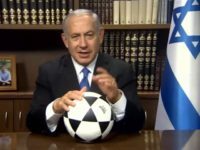 Brazilian President-elect Jair Bolsonaro said Friday he expects to visit Israel by March 2019, after accepting an invitation by Prime Minister Benjamin Netanyahu who is currently on a state trip to Brazil. 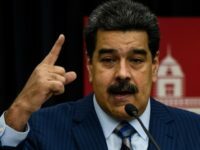 Venezuelan dictator Nicolás Maduro pushed back on Thursday against growing speculation that incoming Brazilian President Jair Bolsonaro may attempt to topple his regime, declaring that his country has built a “popular force” that would secure it from any military invasion. 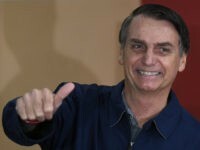 Brazil’s President-elect Jair Bolsonaro welcomed Cuban exile leader Dr. Orlando Gutiérrez-Boronat in his Rio de Janeiro home Wednesday to discuss the “atrocities” of the communist Castro regime and how Brazil will lead the region in the struggle against the international left during his tenure. 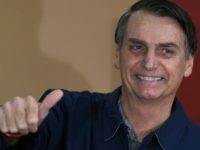 Brazil’s President-elect Jair Bolsonaro uninvited leaders from Cuba and Venezuela to his presidential election next month. 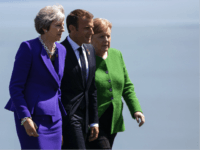 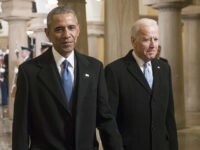 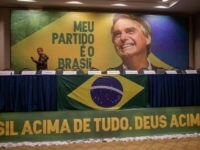 His socialist predecessors welcomed both. 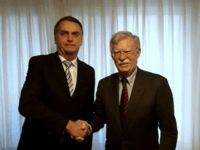 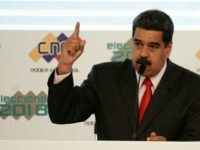 Venezuelan dictator Nicolás Maduro on Wednesday accused U.S. National Security Advisor John Bolton of personally plotting his assassination, claiming the governments of Colombia and Brazil had joined the conspiracy against him. 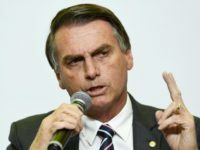 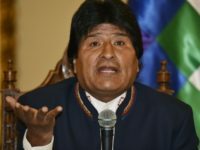 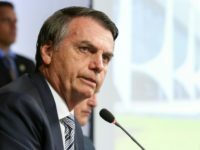 Brazil’s President-elect Jair Bolsonaro told a crowd at an assembly of Latin American conservatives in his native country this weekend that he feels, as Latin America’s largest economy, Brazil has an “obligation” to fight the leftist regimes in Cuba, Venezuela, Bolivia, and elsewhere. 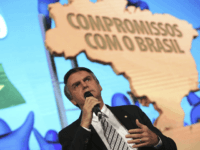 Brazilian lawmakers are gearing up to push gun reforms that will give the public broader access to firearms for self-defense and protection of property.